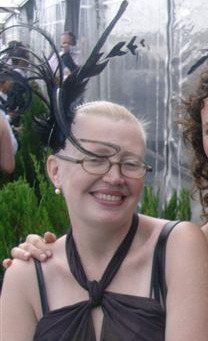 Jane has been making couture (model) hats for over 20 years, and her hats have been sold and exhibited widely in Australia and internationally. The hats exude an effortless, contemporary style and casual elegance. Her designs look to exquisite materials, craftsmanship and detailing, rather than passing fashion novelty, but are also notable for their innovative use of materials and technique. Designed to be worn comfortably and flatter the wearer, these are hats to feel beautiful in… never awkward or overdone. We wanted to make a selection of the couture range available to purchase easily online, without sacrificing anything of what is special about couture fashion craft. The styles selected are classic, but special, and will suit most faces and headsizes. The beauty is in the detailing, and we hope you are delighted with a taste of hand crafted luxury! True to bespoke practice, we offer a restyling, retrimming, repair and renovation service for all our hats.